To book a place on one of my workshops or to find out more about individual sessions please use the Shop and go to the Workshops heading. I am an experienced printmaker in several print media, and I have been running workshops for a number of years. I run them during the winter months from my fully equipped studio in Port William, Dumfries and Galloway. Class sizes are small (4 people) so that everyone gets lots of attention. The prices include home made vegetarian soup and tea/cakes etc plus all materials. 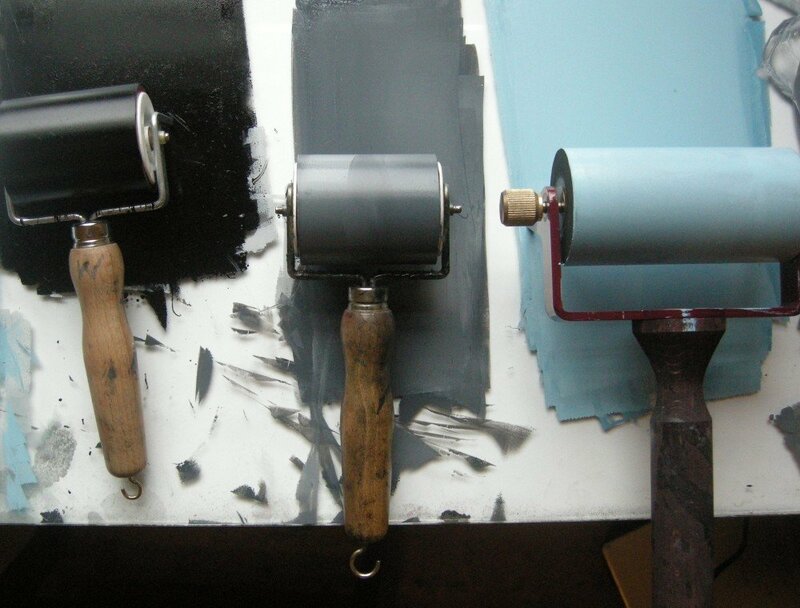 I provide a worksheet with full details of suppliers and materials so that you can carry on printmaking! Regrettably I cannot take bookings from or on behalf of under 18s.